It would be easy to justify overlooking Luxembourg. It’s tiny, after all—one of the tiniest countries in the world—and it’s landlocked, sandwiched between cultural powerhouses like Belgium, France, and Germany. It’s not exactly on the way to anywhere in particular; the train from Paris to Frankfurt won’t take you through Luxembourg, and the fastest driving route will take you on a more southerly route. 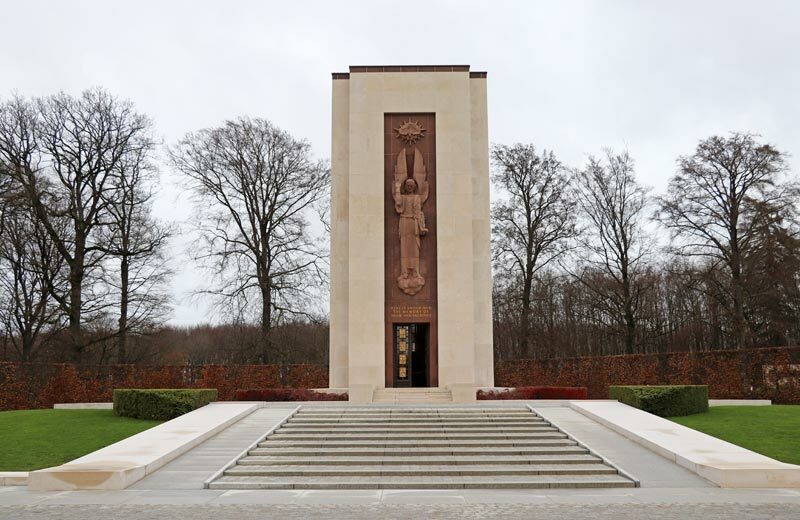 Luxembourg is the kind of place you have to plan to visit, to intentionally seek out, to really want to experience. 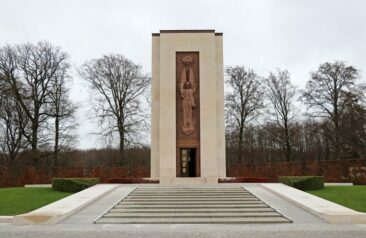 My first visit to Luxembourg happened because of a day trip from Brussels, one of my final stops before 30 days of around-the-world travel was scheduled to come to its conclusion. I booked a seat on a big bus tour that stopped first in Dinant, a tiny Belgian town, before continuing on to Luxembourg. Luxembourg did not get my full attention that day. Hours before we arrived, as our free time in Dinant expired, our guide noticed that the girl who had been sitting next to me since we departed Brussels had not returned. “Where is your friend?” she demanded of me. I explained I didn’t know her; she sat down next to me, and as far as I knew we were both solo travelers that day. The guide conferred with the driver in hushed tones that I couldn’t understand, and after waiting for 20 minutes the guide sighed deeply, the driver closed the bus door, and we left for Luxembourg. I didn’t know the girl, but I spent my day wondering what happened to her. Was she lost? Was she in trouble? 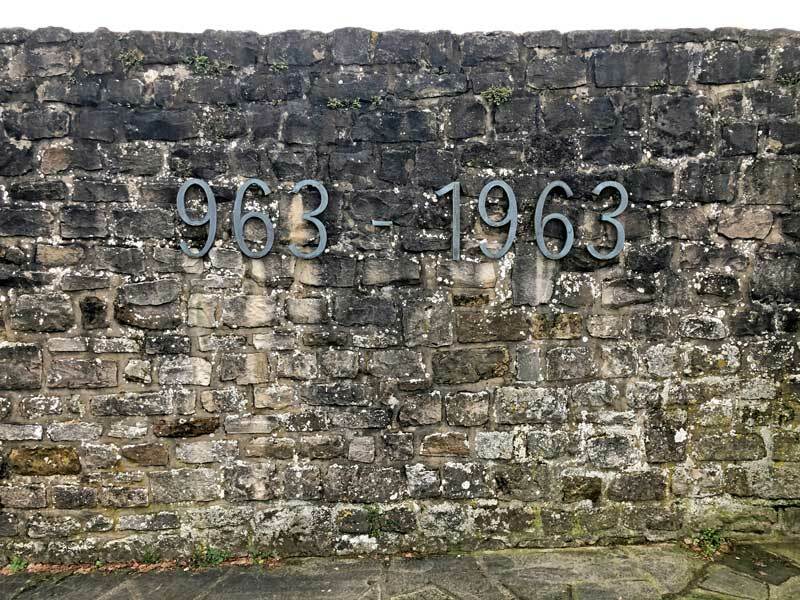 Perhaps she loved Dinant and decided to stay, or maybe she hated the tour and decided not to continue—did she even intend to go to Luxembourg after all? When the day trip ended and I was back in Brussels, I had a camera full of pictures but very few memories. 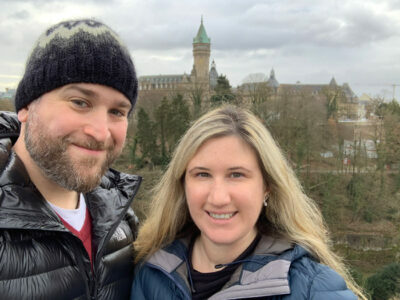 Years later, when Adam and I planned a European trip that would take us through Belgium, we decided to add Luxembourg to our itinerary. At last I could give Luxembourg the chance it deserved! We spent one day in Luxembourg City, which was just enough time for us to sightsee, enjoy a few meals, and leave convinced that one day in Luxembourg is well worth a detour or a day trip. If you are planning a vacation that will take you to Luxembourg, here are some of the spots we loved that will make your experience memorable! With roots that date back more than a century, there are plenty of sightseeing spots worth including when spending one day in Luxembourg City! Here are a few of our favorites. 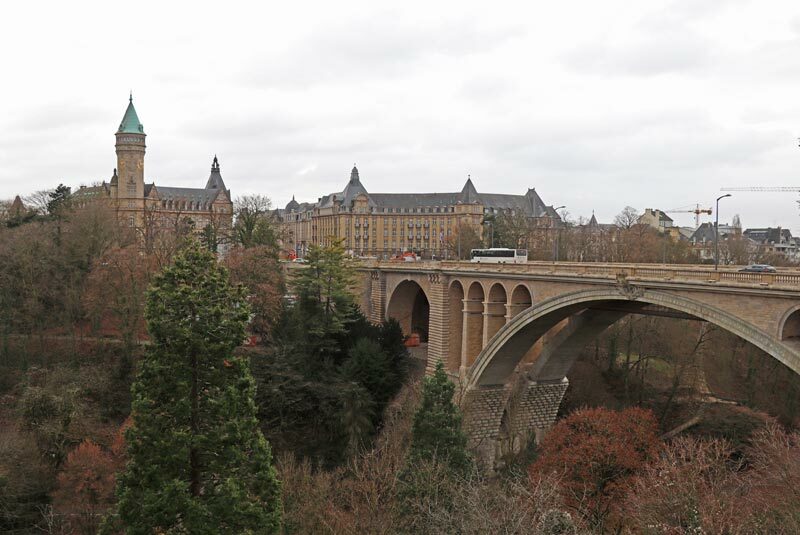 For panoramic views of the old and the new, of historic Luxembourg City and the pretty Pétrusse Valley, the Adolphe Bridge is a great place to visit. Constructed over three years and opened in 1903, the two-story arch bridge carries vehicular, pedestrian, and bicycle traffic. While you’ll be treated to some great views from the bridge, it is worthwhile to seek it out as a destination in itself. The Adolphe Bridge is somewhat symbolic of Luxembourg’s independence; it was built shortly after Luxembourg’s formal ties to The Netherlands ended in 1890. The bridge is named after Grand Duke Adolphe, who was the first person to reign without a secondary monarch also claiming a competing title. Although many Luxembourg visitors will cross the bridge by car, on a nice day the walk across the bridge is beautiful. Looking out toward the city you’ll see historic Bourbon Plateau, which once served as part of Luxembourg’s fortifications. Looking down you’ll see Pétrusse Park, a lush space whose paths are popular with joggers. Whether it’s the city that beckons you for a closer look or Pétrusse Park that captures your attention, Adolphe Bridge makes for a great transition point during your journey. Not far from the Adolphe Bridge, take a walk many centuries into history to see Luxembourg’s casemates. Casemates serve as a part of a city’s fortification; they are designed to be both impenetrable safe havens for troops and secure spots from which guns could be fired. 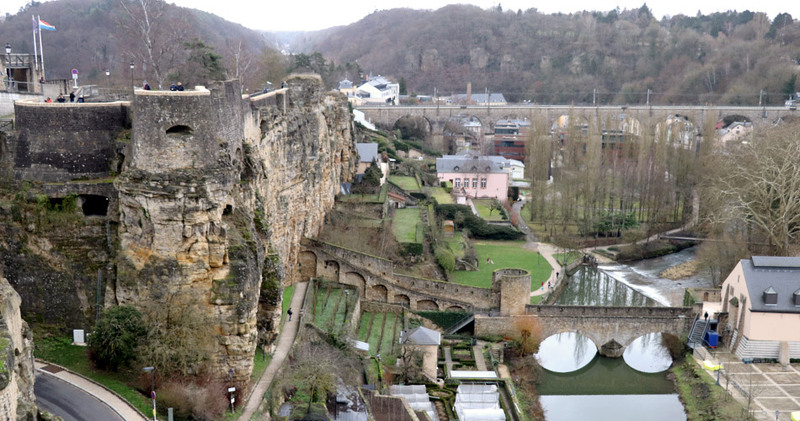 Luxembourg has a few casemates, each of which are worth a visit. 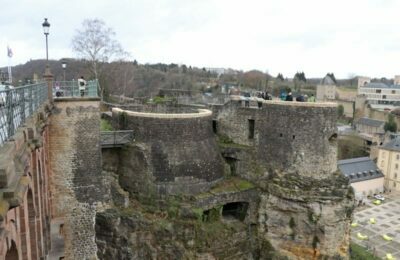 The Pétrusse Casemates are part of Luxembourg’s medieval fortifications; they can be dated to 1644, and they were modified to raise their overall height in 1685. The Pétrusse Casemates are occasionally opened to the public, during which times you can enter its tunnel system to get a sense of its structure and the winding paths and steep staircases people once regularly traversed. 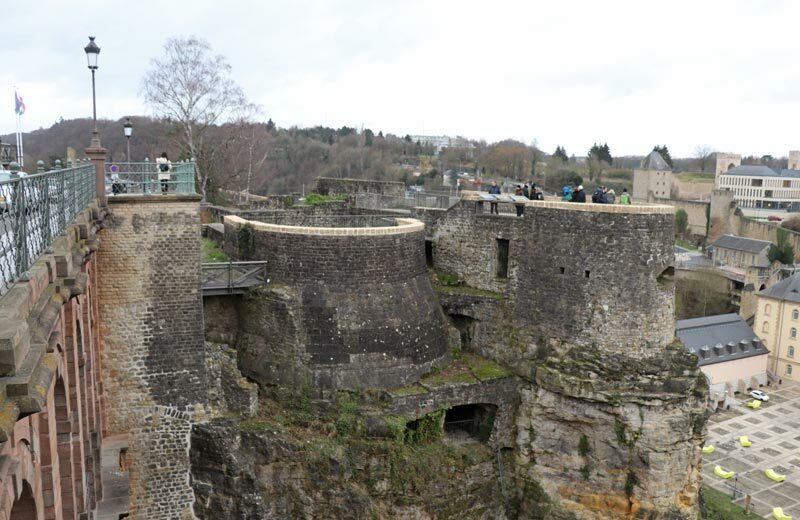 The UNESCO World Heritage site Bock Casemates are even older than the Pétrusse Casemates; their history spans more than a century and contributed to Luxembourg’s defense during multiple conflicts. Originally built in 963, the casemates are a remaining portion of what was once the Bock fortress and a more extensive fortification system that was strengthened and improved each time control of the city changed hands. In addition to the artillery slots used for shooting, the Bock Casemates include kitchens, bakeries, and a well for fresh water that sustained troops for weeks and offered additional protection because they did not have to go outside for provisions. The Bock fortress was destroyed in the 1800s per the Treaty of London, but the casemates remain preserved and in place because they are a structural part of the city’s layout. Like the Pétrusse Casemates, visitors can tour the Bock Casemates’ tunnel system. Be sure to climb the Huelen Zant tower for some fantastic views of the city. 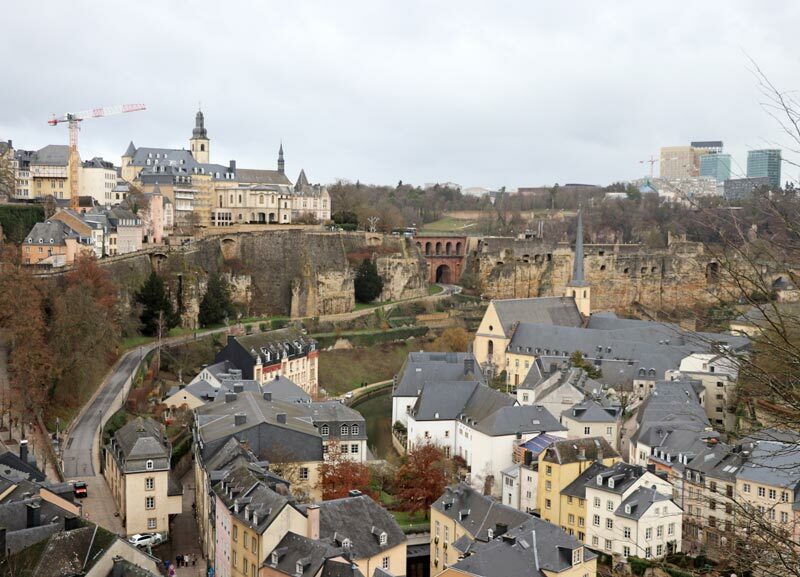 Nestled along the banks of the Alzette River, Luxembourg’s lower town—known as the Grund—is the oldest part of Luxembourg City. A photographer’s dream by day and a nightlife haven by night, the Grund mixes the vibe of an ancient village with trendy, modern characteristics. Having just come from Bruges, we noticed some clear similarities between the two cities. Sleepy winding streets dotted by historic buildings with steeples and spires met us at every turn. World-class restaurants, cozy pubs, and boutique storefronts attracted tourists and locals alike. A handful of museums, including the Museum of Natural History and the Great Clock Museum, round out some of the main attractions. 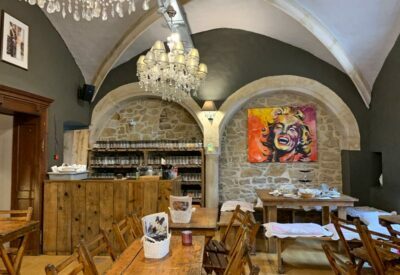 Whether you are looking for a meal, a museum, or a leisurely walk to admire the city, the Grund is a terrific place to include if you have just one day in Luxembourg. If you are looking for a place to relax over a glass of wine or a meal, Place d’Armes is a great destination. Located in a pedestrian-friendly part of the old town, Place d’Armes is a popular meeting place and hosts a great Christmas market during the holiday season. Our visit just after the new year was perfectly timed to explore some of the vendor stalls and enjoy some market food, which was a fun way to relax after some fast-paced sightseeing. The beautiful Grand Ducal Palace is worth seeking out and unmissable when you arrive. 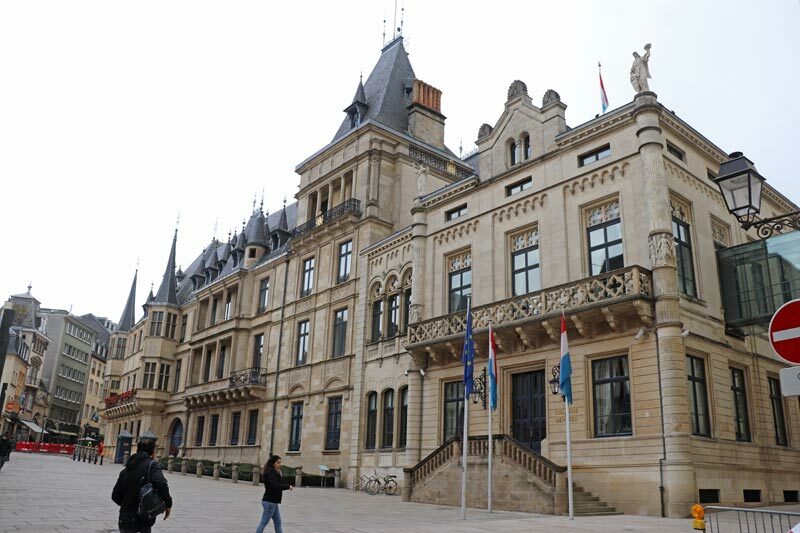 Originally used as the city hall, the palace transitioned to full-time use as a residence in 1817 and as the Luxembourg City home to Grand Duke Adolphe in 1890. 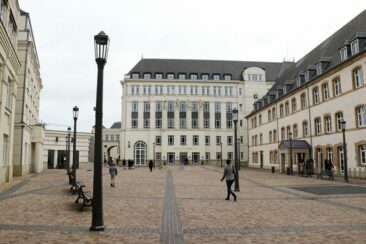 Since then, Grand Ducal Palace has been used primarily as a residence with the exception of World War II, when German occupation of the city forced Grand Duchess Charlotte into exile. The building was used as a Nazi concert hall until the end of the war, when the palace was reclaimed. During the summer it is possible to tour the interior of the Grand Ducal Palace, which is regularly renovated and modernized. If your visit to Luxembourg does not coincide with the summer months, the palace is equally beautiful on the outside and worth stopping by for a few photos. If you are looking for one final photo spot, Chemin de la Corniche is an ideal choice. 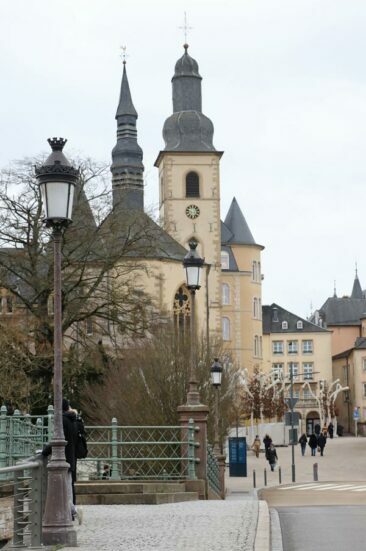 Nicknamed “the most beautiful balcony in Europe,” Corniche offers expansive views of ancient structures, historic buildings, and residential homes along the Alzette River. Nowhere else does Luxembourg City intertwine history with the modern day so seamlessly. Although the walking paths provide a great place to stretch your legs, you may find yourself stopped more than expected as you take in the scenery and the cityscape. 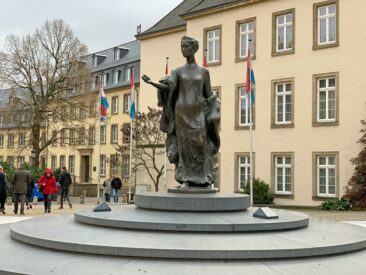 Of all of the terrific spots we visited in Luxembourg City, the most memorable for us is outside of the landmarks commonly frequented by visitors. 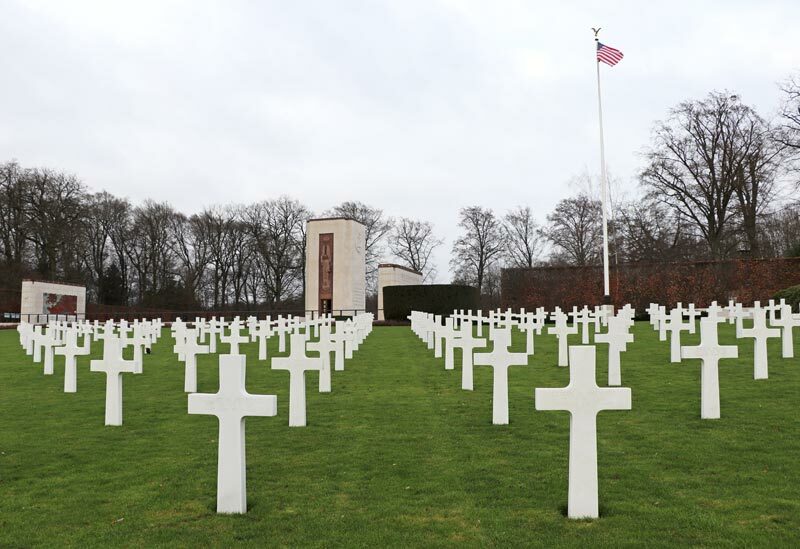 We took a taxi to the American Cemetery, an unexpected tie to our home in the United States. 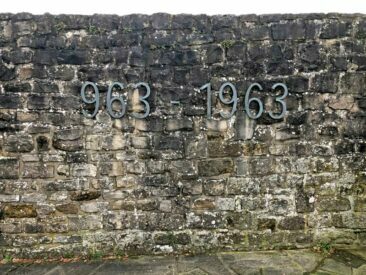 5,073 men and women who served the United States during the Battle of the Bulge and advances on the Rhine River rest in the remote, peaceful cemetery. 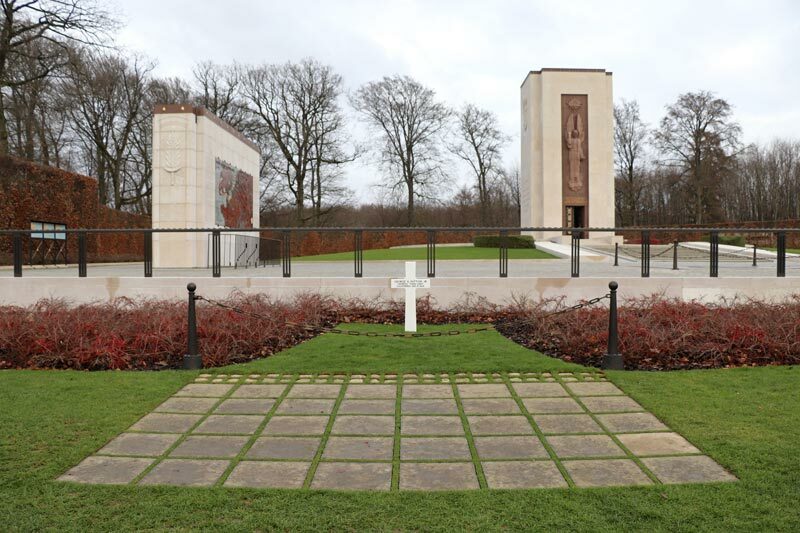 Because Luxembourg City served as the U.S. Third Army headquarters for General George S. Patton, he, too, is buried here along with thousands of others who lost their lives in service to their country. 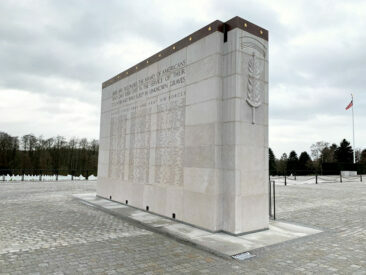 Getting to the American Cemetery requires a pricey, 20-minute taxi ride that is worth every cent you will spend. The cemetery is not particularly close to public transportation options, nor is it a location where taxis will queue, so you may consider asking your driver to wait for you and take you back into the city proper. Our driver volunteered this service to us, turning off the meter while we spent about 25 minutes walking through the cemetery. Because our January visit was during a slower time for tourists, he appreciated the chance to have a return fare on his way into town and did not charge us for his waiting time. During busier months a driver may be less inclined to offer this to you, so you may find you either need to pay for the driver to wait or call a taxi when you are ready to return to the old town. 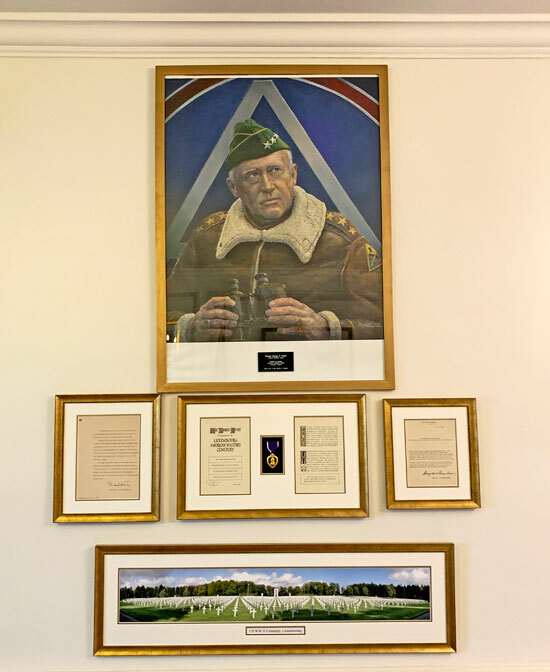 There is a small visitors center that is staffed when the cemetery is open, and it may be possible to request assistance with calling a taxi from the people who work there. Despite the logistics required to visit the American Cemetery, it is a beautiful resting place and a sobering tribute to the role the United States played in Europe during World War II. From Michelin-starred restaurants to hole-in-the-wall shops, there is plenty of great food to eat (and beverages to drink!) 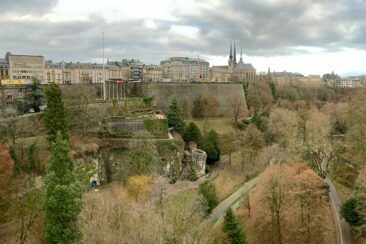 in Luxembourg City! We stopped into Charles Sandwiches for a quick lunch in between spots on our sightseeing list, and we were surprised to be treated to some of the best sandwiches we have had during our travels! I thought the slightly spicy chicken Tikka sandwich on crunchy bread was flavorful and filling, and Adam loved his choice: the Rock-a-Bacon, which was loaded with toppings. We arrived shortly after lunch service began, but by the time we left just 30 minutes later every seat in the restaurant was either full or reserved. 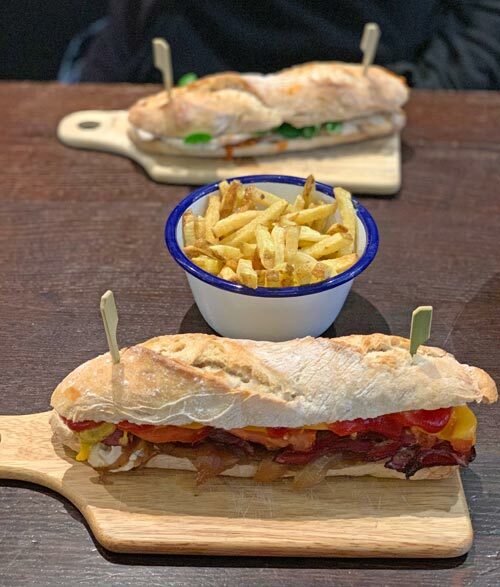 With a significant number of take away orders leaving with hungry patrons, we were thrilled we got to try Charles Sandwiches—and we weren’t hungry again for hours! Luxembourg is cold during the winter, and we spent some time warming up over luxurious cups of hot chocolate at Chocolate House. Just across the street from the Grand Ducal Palace, Chocolate House serves a wide array of chocolate delicacies, but we ordered simple cups of hot chocolate to enjoy. 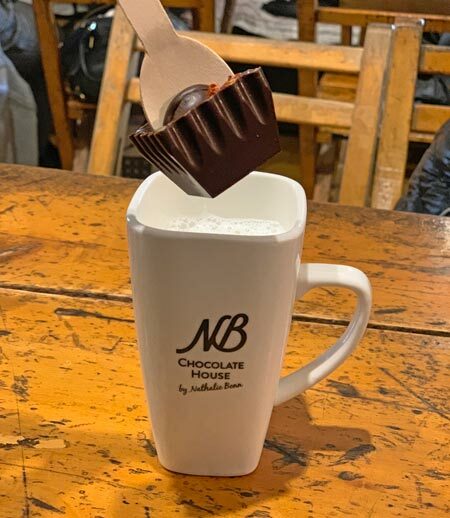 The hot chocolate is served as a cup of steaming milk with a square of flavored chocolate on a stick. To make the drink, we dunked the chocolate into the milk and stirred until it melted, transforming the milk into a rich hot chocolate. Chocolate House serves dozens of flavors, from standard milk chocolate to creations like spicy chocolate and smores. No matter what your appetite requests, Chocolate House is a fun stop (and a great place to get warm on a chilly day!). Although the burgers themselves are highly rated, it is the menu at Lux’Burger that will draw you in. With descriptions including, “sauce giving you pluck and courage” and “throat-ripping sauce,” you may wonder if some of the tasty creations are somewhat lost in translation. No matter what you choose—from the Greek-inspired Achille (featuring “sauce taking you out of yourself”) to the classic burger (with a nod to the USA and named after recent president Barrack Obama), you’ll find yourself enjoying an incredibly tasty meal. 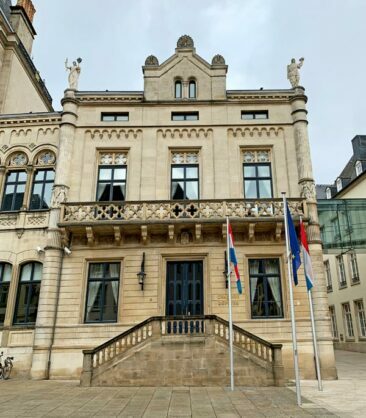 Luxembourg has a nice wine region, and while we didn’t have a chance to visit it we did make it our mission to sample a few of the country’s vintages. 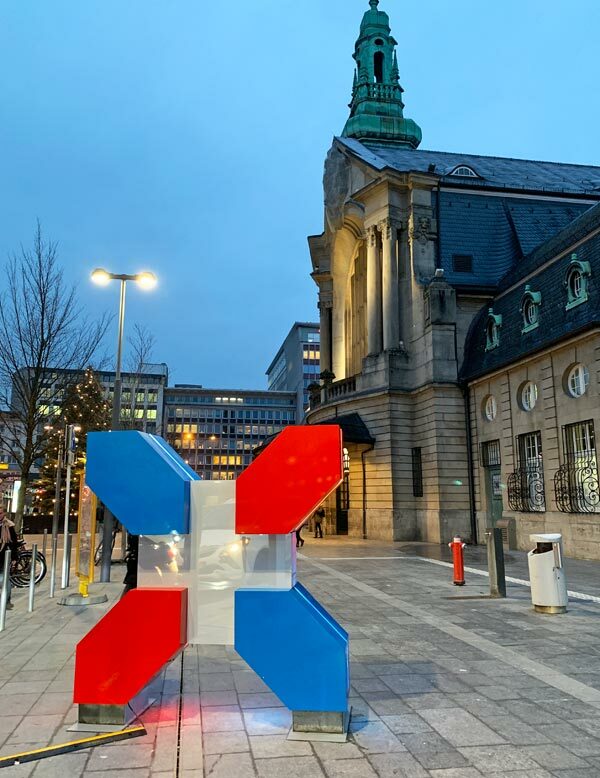 Unfortunately, our one day in Luxembourg left us standing in front of Bar Vinoteca instead of sitting inside it (it was closed while we were in town), but it looked like a wonderful place to get acquainted with Luxembourg wine. 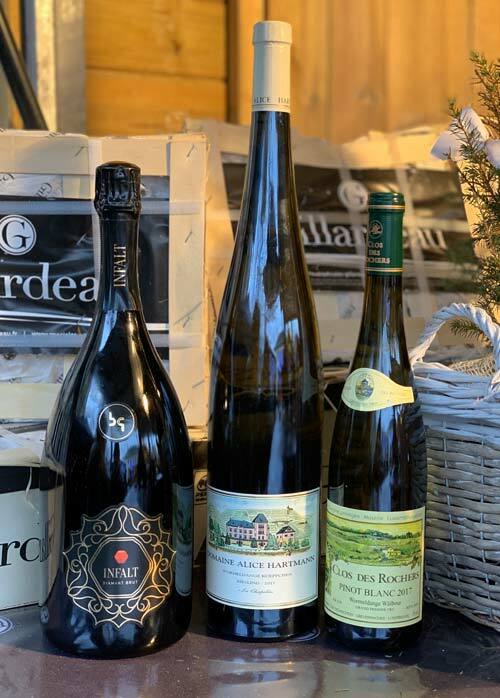 Instead, we found a few seats at a bar at the Christmas market, where we sipped from a flight of three different wines. Luxembourg is best known for white wine, specifically varietals including Müller-Thurgau, Pinot Gris, Riesling, and Gewürztraminer. We both liked the dry, crisp Infalt sparkling brut (such a celebratory choice at a Christmas market! ), and we also enjoyed the Domaine Alice Hartmann Riesling, but it was the Clos des Rochers Pinot Blanc that rose to the top of our list. With notes of peaches and pears, it was a great way to sample some local wine. Later, as we approached our hotel, we ducked into a local grocery store for a few snacks and emerged with a few inexpensive bottles of local wine as well. We both liked the St. Markus Riesling and the Domaine Vinsmoselle Rivaner (a grape we don’t often see! ), and we were surprised to enjoy “cheap” wine just as much as its more expensive competitors. 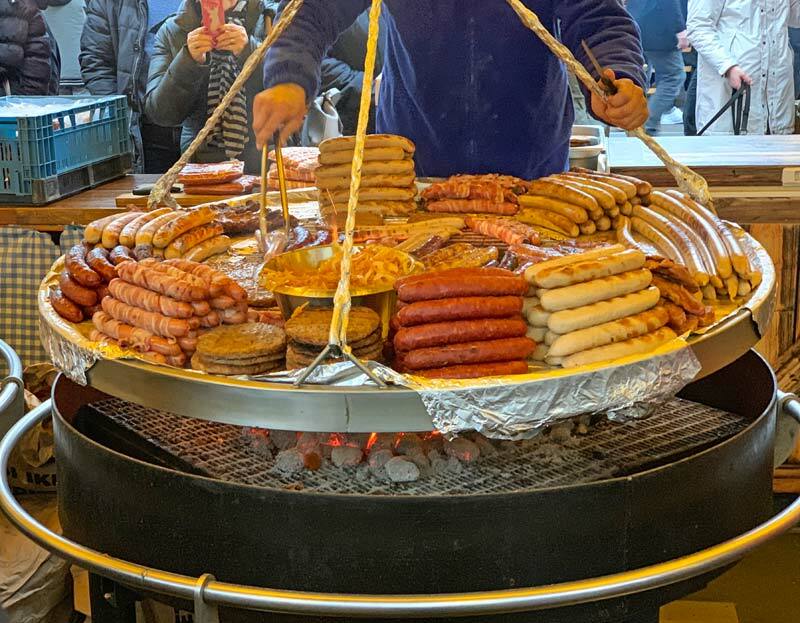 Luxembourg’s cuisine reflects many of the countries that share its borders, and Big Beer Company is a great place to enjoy German food if you have one day in Luxembourg. From snack plates to hearty entrees with staples like bratwurst and sauerkraut, both the food and the atmosphere are great. Big Beer Company is a great choice if you want to refuel after a long day of walking through Luxembourg City. 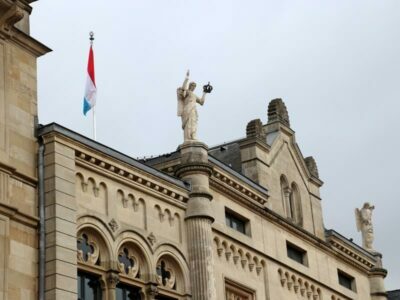 How Long Do You Need in Luxembourg? 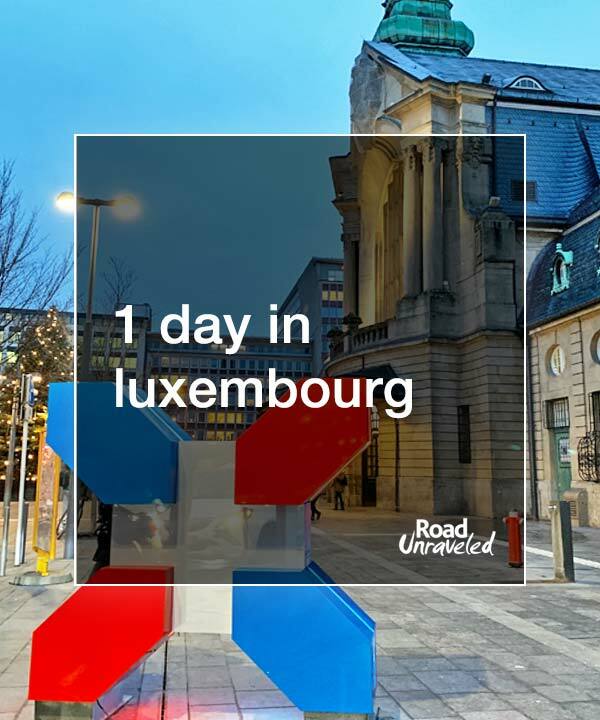 If you have just one day in Luxembourg, it’s entirely possible to see a huge chunk of the city in a single day—even if it is a short day. We arrived by train at 10 AM and had checked off the majority of our sightseeing list by 5 PM, just as it started to get dark. 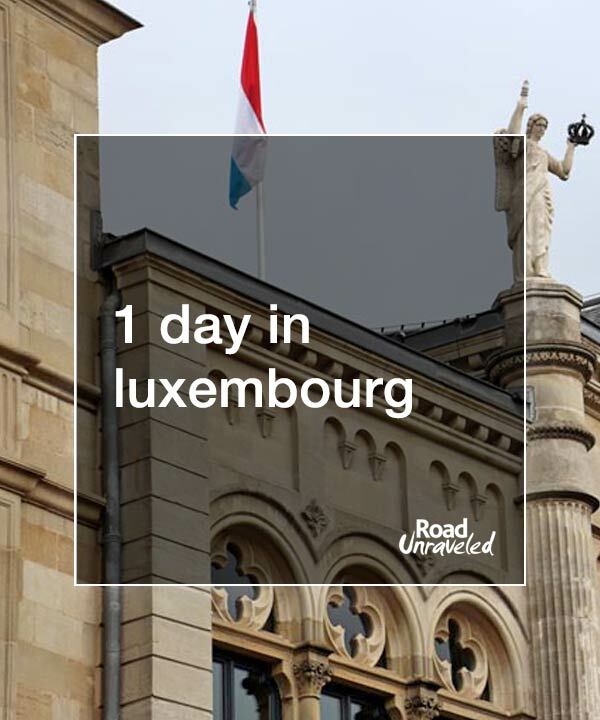 If you have one day in Luxembourg it’s a great idea to arrive as early as possible and stay as late as you can, but if you have as few as six hours the trip will be worth your time. Luxembourg City is small enough that you can explore the highlights in a half day, and you’ll want to tack on an extra 90 minutes if you plan to include the American Cemetery in your itinerary. Plan on some extra time for meals and museums as well—you’ll appreciate some time to relax, and there is no shortage of great food in Luxembourg! Luxembourg is well-located and not very far from major cities like Paris, Brussels, and Frankfurt, so it’s easy to get there. 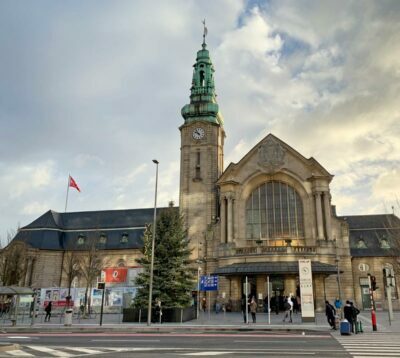 We took a train from Ghent, which connected in Brussels, and you should be able to find a seat on a train from numerous locations. The train station is a longer walk from the old town than you may want to tackle, but taxis are readily available (though quite expensive). We took a taxi from the train station to the American Cemetery and back to the Adolphe Bridge, two short rides that cost us more than 40 USD. Still, taxis are convenient and may be worth adding to your budget. Luxembourg also has a strong bus network, including regular buses that go to the airport (much cheaper than taking a taxi!). While the old town is easy to see on foot, look into the local bus routes if you don’t want to spend too much time on your feet. 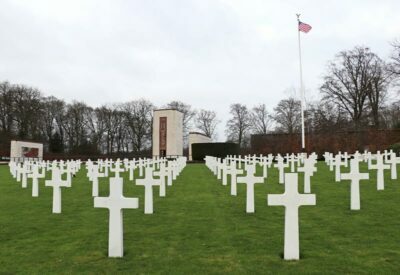 Aside from the taxis to and from the American Cemetery and the bus to the airport we were on foot the entire time, and we loved the additional sightseeing we could enjoy. When it comes to lodging, most visitors stay in the old town, which is central to popular bars and restaurants and makes it much easier to enjoy nightlife. If you are planning to spend a night, old town is a great choice. We stayed at a budget hotel close to the train station, and while the convenience was just what we wanted we compromised on the proximity to sightseeing and entertainment (and quality) to get it. We found our hotel on Booking.com, which was great for us because we booked a hotel at the last minute and wanted to pay for it when we checked in. Booking.com often features hotels that don’t require prepayment or a deposit, so take a look and see if the hotel that meets your needs is available during your trip! I’m glad I got to give Luxembourg another chance. My vague memories of beautiful buildings along the winding river came back in full force when I had the chance to see them a second time, and it was fun to explore with Adam during his first visit to the city. I sometimes think of the girl who went missing in Dinant during my first trip (later discovered to have missed the bus and taken a taxi to Brussels at her own expense) and how she didn’t make it to Luxembourg with the group. I wonder if she had made it on the bus, perhaps she might have intentionally stayed behind in Luxembourg instead. As we left the city after one day in Luxembourg it was easy to picture myself making that decision. That’s why travel is so worthwhile: while you never know which locations will capture a part of you, they are so often worth exploring—even just for one day. Are you interested in European cities? Here are a few more of our posts to check out!